Our DVD recommendations this week include a weepy romance, a serial killer, several ghosts, punk rock and Idris Elba. What more could you ask for? 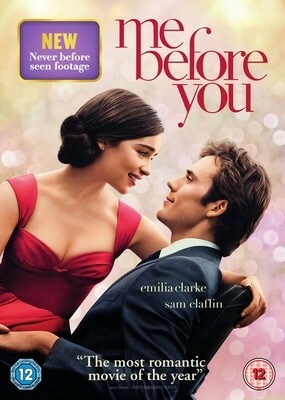 Emilia Clarke of Game of Thrones fame stars in this adaptation of the Jojo Moyes’ novel, which has been known to turn even the hardest of people into blubbering wrecks by the final page. The movie is no less weepy, chronicling the romance between waitress Louisa (played by Clarke), who becomes the carer for Will (Sam Claflin), who uses a wheelchair after a motorcycle accident. Together, the two help each other rediscover their love for life. We won’t spoil too much, but make sure you’ve got a pack of tissues handy. Dexter, which follows a blood splatter analyst who moonlights as a serial (but a good one who only kills baddies), was slightly overshadowed by the likes of Breaking Bad and The Walking Dead in its later years. It’s first four seasons were nothing short of brilliant though, especially Season 2 and Season 4. 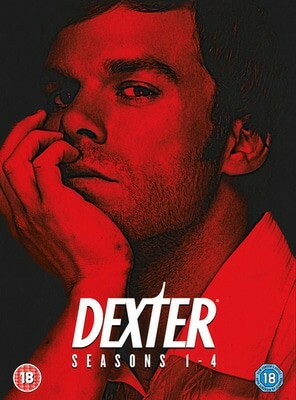 Dexter’s attempts to balance his life as a killer, investigator and family man generate equal levels of tension, dread, excitement and horror, with Michael C Hall giving a powerhouse performance as the affable but deadly protagonist. If you haven’t watched Dexter yet, this boxset is a brilliant place to start – and it’s cheap too! Turn off the lights, hide behind the sofa and grab a spare pair of trousers; it’s time to go demon hunting with the Warrens again! This time, everyone’s favourite demonologists are in London to investigate reports of an evil spirit terrorising two young girls. Unfortunately, said evil spirit isn’t too happy about Ed and Lorraine being in Blighty and starts causing all kinds of ghostly chaos to get rid of them. With Halloween just around the corner, this is an ideal flick for a night in watching horror movies. Just make sure you get someone to check under your bed for ghouls afterwards. 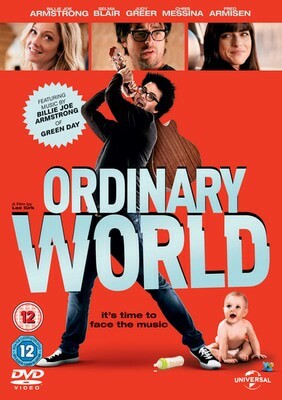 Not content with being one of the biggest rock stars in the world, Green Day’s Billie Joe Armstrong tries his hand at acting in Ordinary World. And would you believe it? He’s good at that too! Armstrong plays ex-punk rocker Perry, who is struggling to adjust to ‘normal’ life ten years after his band went on hiatus. After his wife forgets his 40th birthday, his brother organises a wild party in New York – and it’s not long before Perry’s wild punk tendencies starting creeping back in. 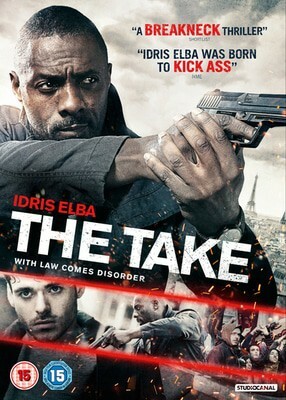 Idris Elba makes a strong case for being the next Bond (as if Luther and breaking a landspeed record weren’t enough) in The Take, playing a CIA agent forced to team up with a pickpocket in order to find terrorists responsible for a bomb attack in France on Bastille Day. Michael Mason (played by Game of Thrones’ Richard Madden) is having a fairly normal day when he decides to steal a handbag containing a teddy bear. The teddy bear turns out to be a bomb, and it explodes shortly after Michael disposes of it – killing 4 people. Michael becomes prime suspect for the attack but CIA officer Sean Briar (Elba) knows better. Against orders, he teams up with the fugitive to discover the shocking truth behind the attack. That, of course, sets up some brilliant action sequences and shocking twists. If you love a good action thriller, check it out. As well as the movies in this post, you can find 1000s more DVDs and Blu-Rays right now on the musicMagpie Store. With prices starting from just £1.19 and some brilliant offers like 2 for £5 and Buy One Get One Free, we’re one of the cheapest places to buy movies on the web!